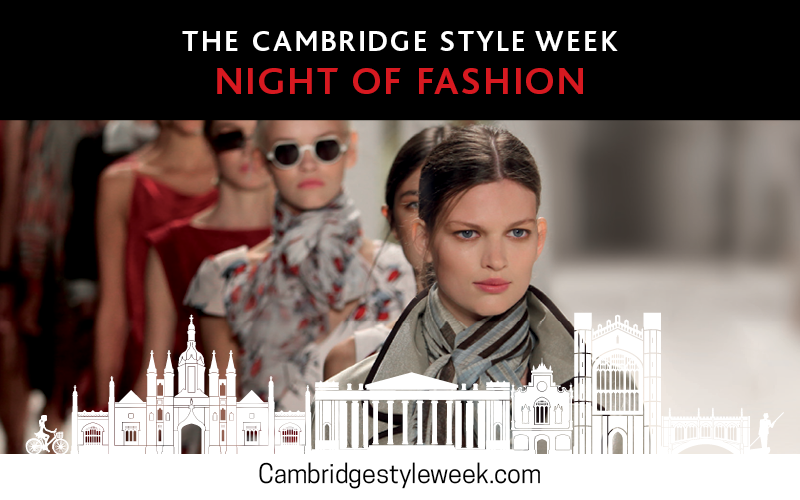 I have been a huge fan of Five Six Blue Boutique since I first heard about them when I attended the Velvet Magazine Enchanted Forest Fashion Show. 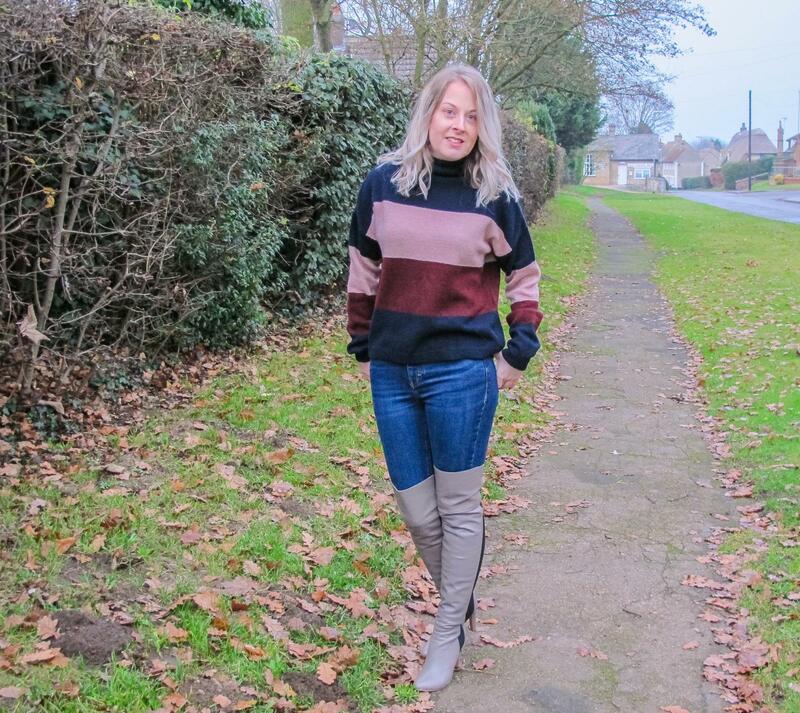 I love all things Scandi from homeware to fashion so when I saw Five Six Blue post the most perfect jumper on their Instagram I just had to have it. Things got even better when I found out the Charli Laurel Jumper was in the sale. 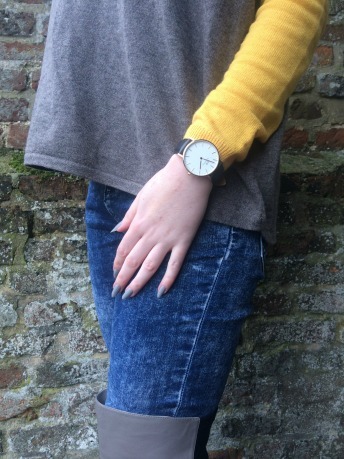 Navy and grey are always favourites with me, and the addition of yellow sleeves makes the jumper ideal for wearing into spring. I chose to pair it with skinny jeans and my new grey over the knee boots from Nine West. I always find over the knee boots so easy to wear and now have a couple of pairs. They are great for lifting your look and if you live in boots like I do, they make a nice change to my go to ankle boots. Accessories were kept to a minimum with just my Daniel Wellington watch. The only issue I have now I’m starting to wear a watch more is that I need to wear it on the same wrist as my Fitbit, and that really ruins the look! 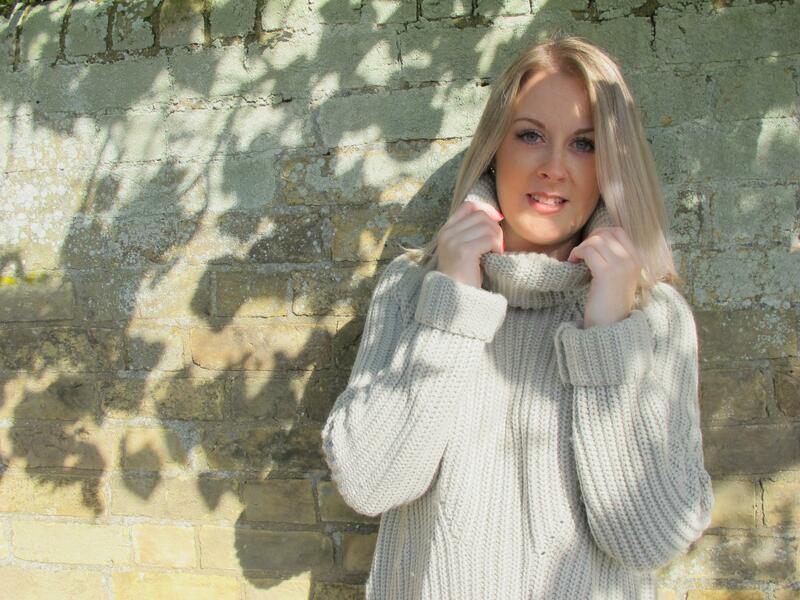 To take a look at more from Five Six Blue Boutique head over to their website or follow them on Facebook or Twitter. Looking good Missy! 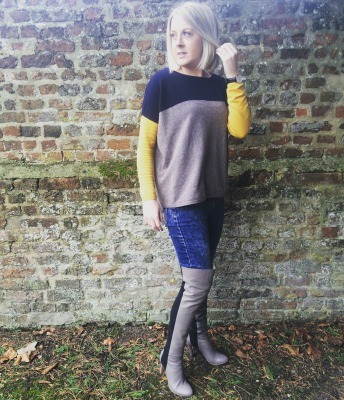 Love the pop of colour the yellow brings but your nails and boots are what makes the outfit for me! Thanks! I definitely have a thing about grey!